Few episodes of early American history intrigued nineteenth century novelists more than the flight of three of the regicides, who had signed the death warrant of Charles I , to New England, following the Restoration of King Charles II in 1660. One of those men was John Dixwell, Dover’s Member of Parliament. John was born about 1607, the younger son of William Dixwell of Coton Hall in Warwickshire. 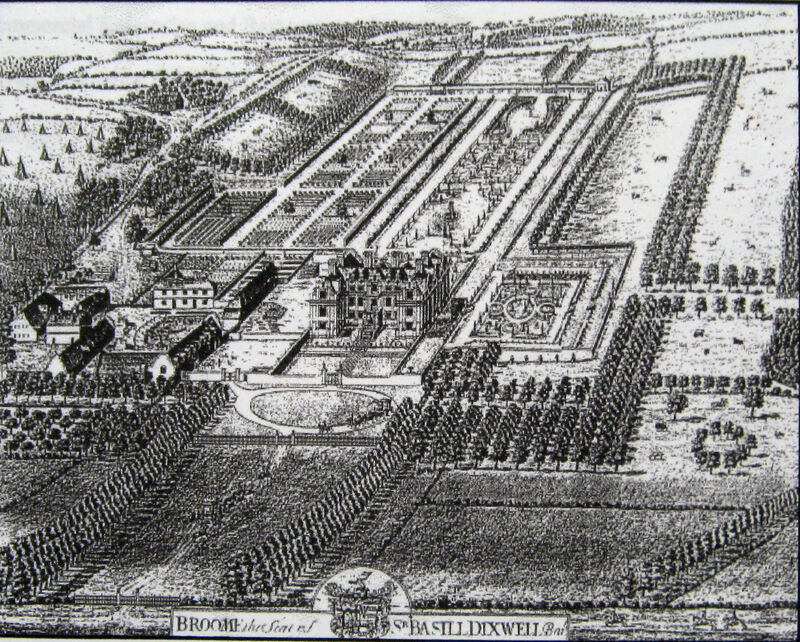 In 1641, his elder brother, Mark Dixwell, succeeded to the estates of their uncle, Sir Basil Dixwell, at Broome Park, near Barham. Mark, a Royalist, was killed at the Battle of Arundel in 1643, during the Civil Wars, (1642–1651,) leaving a wife, Elizabeth, and five children, the eldest of which was Basil. Mark’s estates were entrusted to his younger brother, John, until Basil came of age. As the temporary holder of the estates John enjoyed a great deal of influence and was appointed a Deputy Lieutenant of the County Kent. This meant that he served on the Committee for Kent – the administrative body for the county during the Civil Wars and the Interregnum (1645-1660). He was also Colonel of Foot in the Parliamentarian army. Although some later historians are scathing of John at this time, contemporary accounts show him to be a good Puritan and an amicable neighbour who did his best for the family whom he had responsibility. Henry did not give up but with assiduous diplomacy on John’s part, the overt fascination for the lady came to an amicable end. Indeed, Henry gave Elizabeth a copy of the Mystagogus Poeticus or Muses Interpreter by Alexander Ross, a family tutor. This book is now in the British Museum and inside, in Henry’s hand, is written Elizabeth’s name and a graceful dedication. There is also a second inscription written by Elizabeth, ‘Herdson Dixwell, His Booke, Anno Domini 1655.’ Herdson was one of Elizabeth’s sons but died shortly afterwards. Following the death of Dover’s Member of Parliament, Sir Edward Boys, John was elected Member of Parliament on 28 August 1646. There is very little recorded of John’s activities during his first two years as an MP. However, between 6-12 December 1648 Colonel Thomas Pride led what became known as the infamous ‘Pride’s Purge’, when troops forcibly removed from the Houses of Parliament all those who did not support Oliver Cromwell’s regime. Before the Purge, there were 470 Members afterwards, just over 200 members, John was one, in what became known as the Rump Parliament (1648-1660). The Judges sat on the Commission of the High Court of Justice to hear the evidence during the King’s trial. John attended the proceedings in the Painted Chamber on 10, 13, 19 and 22 January 1649 and all the subsequent days of the Trial. He also attended every day the proceedings were held in public in Westminster Hall. Thirty-three witnesses were called with Thomas Read of Maidstone represented Kent. These witnesses were generally Royalists, who had served in King Charles’ army during the Civil Wars, but had turned traitor against their former leader. Throughout the trial, the King had refused to remove his hat and he made it clear that he did not recognise the proceedings as a court of law. He also refused to answer questions put to him. The verdict was announced on 27 January 1649 and King Charles was condemned to death. 59 Judges signed the King’s death warrant one of which was John Dixwell. On the afternoon of 30 January 1649, Charles was beheaded outside the Banqueting Hall in Whitehall. He wore two shirts that day as it was very cold and he did not want to be seen trembling in case it was interpreted as fear. 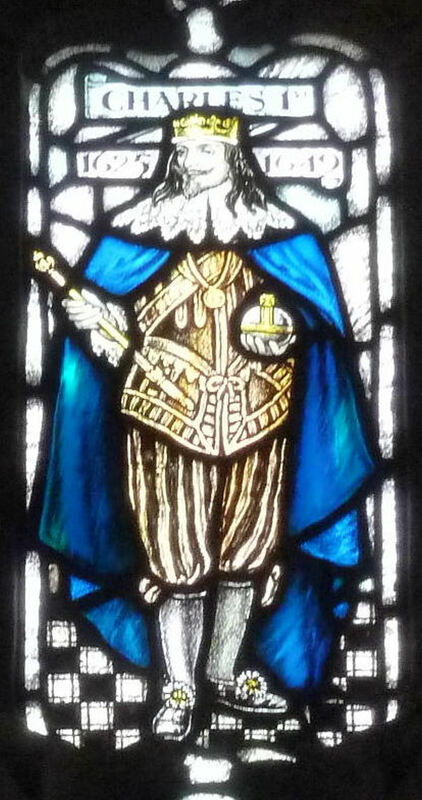 Before laying his head on the block, the King proclaimed his Christian faith, emphasised his loyalty to the Church of England and forgave all those responsible for his death. In the years that followed, John remained in the army and was involved in Kentish politics. In 1651, he was appointed to the Council of State where he successfully argued that Dover harbour defences should be strengthened. This proved invaluable the following year at the time of the second Battle of Dover in 1652 (the first Battle of Dover was in 1217). During his time on the Council of State, John also used his special powers to raise a Kent county militia to guard the coast. Following the death of Oliver Cromwell on 3 September 1658, his son was appointed to succeed him. The Rump Parliament was recalled and John was again appointed to the Council of State. 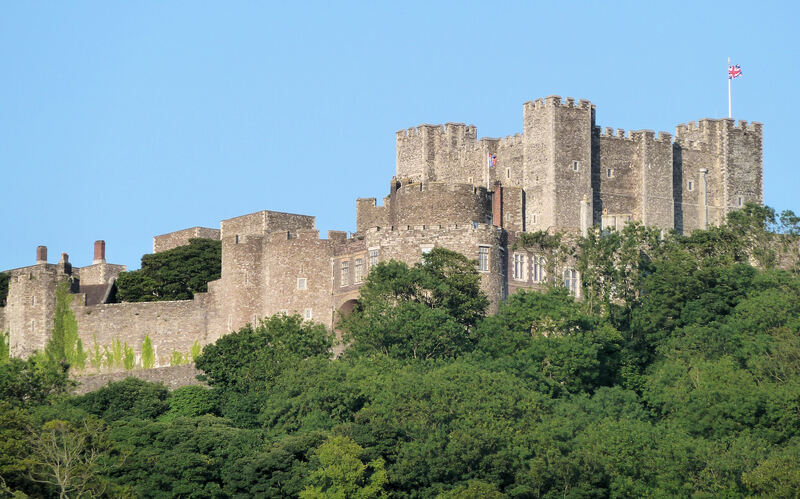 In the first two months of 1660, John was the Governor of Dover Castle. However, in the country a power struggle ensued with General Monck, commander of the Cromwellian forces in Scotland, marching south and entering London unopposed. On 21 February 1660, he dissolved the Rump Parliament and re-established the Long Parliament that included those Members who had been excluded by Colonel Pride. The Long Parliament dissolved itself on 16 March 1660 and in response, on 4 April, the exiled Charles II (1649 to 1685) issued the Declaration of Breda. In this, he made declarations that he promised to uphold if he was restored to the throne. The predominantly Royalist Convention Parliament met on 25 April and declared that Charles II had been the lawful monarch since the death of his father in 1649. Preparations for the Restoration began immediately. 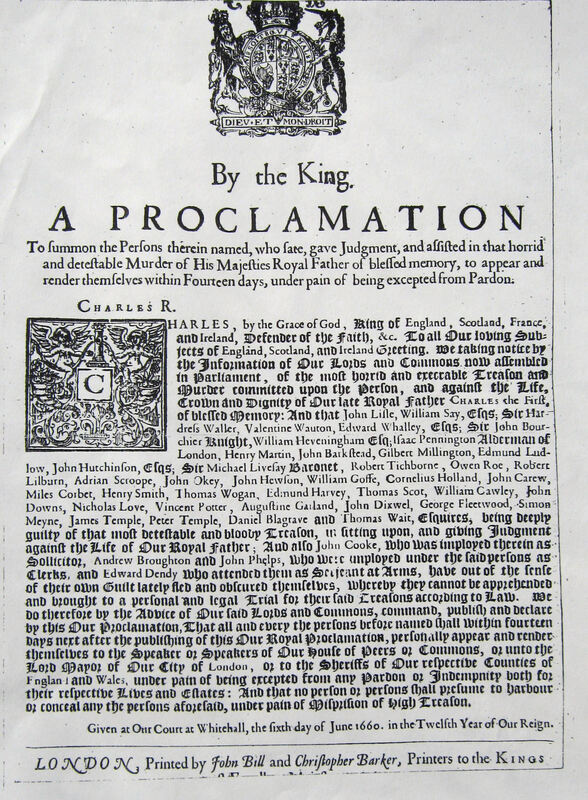 Proclamation for the arrest of those involved in the execution of Charles I including John Dixwell, Dover’s Member of Parliament. On 25 May 1660, Charles II stepped ashore at Dover and the monarchy was restored. Although the Convention Parliament wanted to punish those who had held power since 1649, they were beholden by the Decaration of Breda to only prosecute those who had signed Charles I’s death warrant – the Regicides – and a handful of others. This was validated by the Act of Indemnity and Oblivion and the Regicides were ordered to give themselves up within fourteen days. John Dixwell’s name was on the Proclamation. A few days before, on 17 May 1660, an order was issued to seize John and sequestrate his estates. Three days later, the Speaker informed the House of Commons that he had received a petition from a relative of John’s. This stated that the Regicide was ill and begged for benefit under the Act if he came forward within a fixed time. 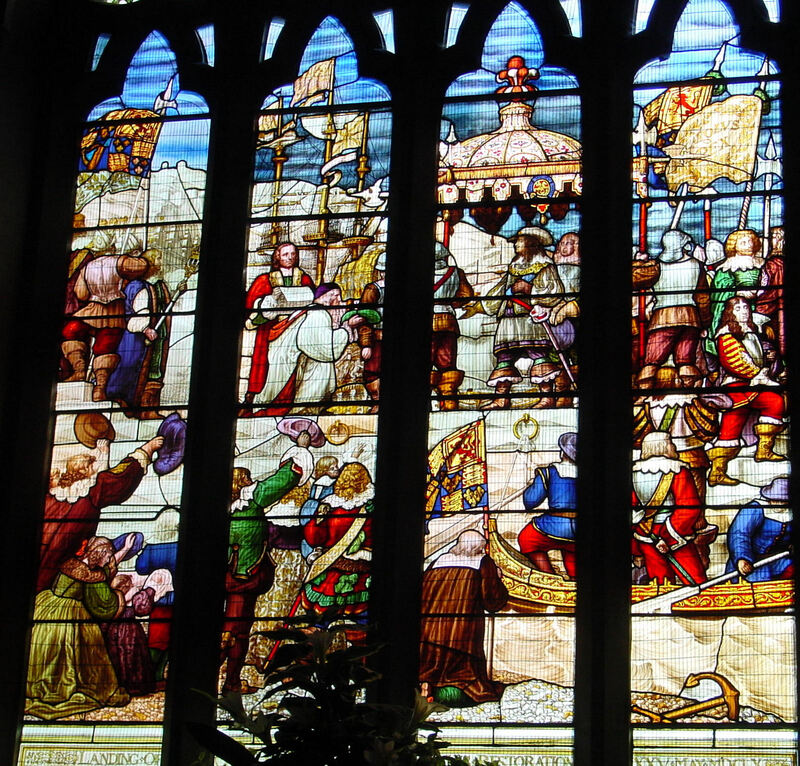 Parliament extended the time for John to give himself up, but instead of surrendering, he fled to the Continent. By that time John had left England with three other regicides, John Barkstead, the custodian of the Tower of London under Cromwell, John Okey and Valentine Wanton. At first they went to the German town of Hanau, near Frankfurt, where John, using all of his political acumen, became a Burgess (Burgher) there! However, in 1664 Barkstead and Okey were betrayed, arrested and deported to England. In the middle of the night John and Valentine Wanton left the German town and either travelling overland in darkness and laying up by day or by stowing away on a river barge, they managed to make it to a port. There, they boarded a ship bound for America. At Hadley Massachusettes, they joined two other regicides, William Goffe and Edward Whalley, in February 1665. 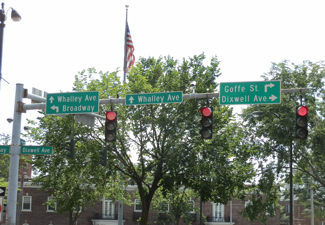 Goffe and Whalley then moved to New Haven, Connecticut, and shortly afterwards, John also moved to New Haven. 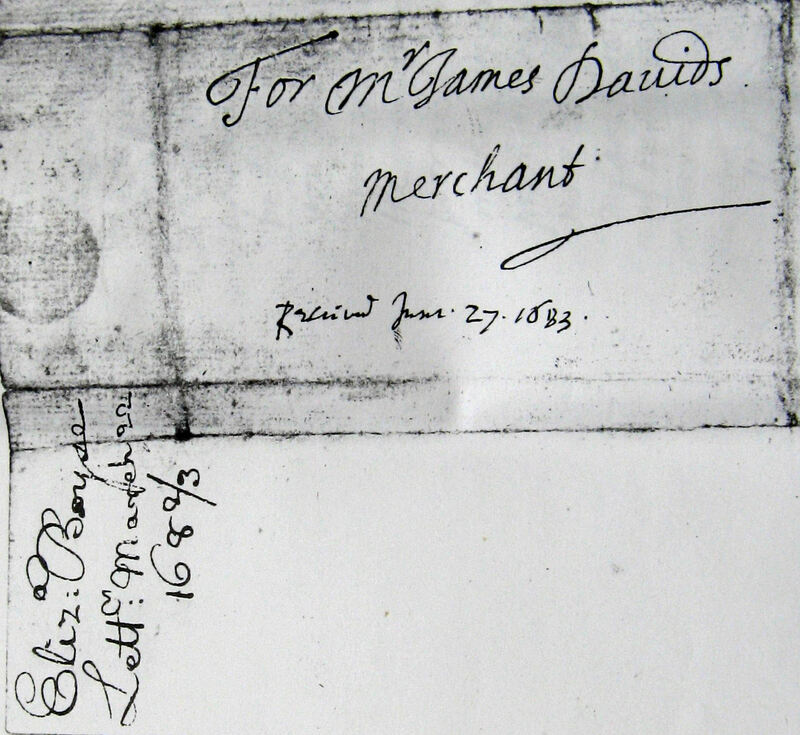 There he settled, changed his name to James Davids, pursued his religious beliefs and was a successful merchant. In 1673 married Joanna Ling and four years later, as a widower, married Bethsheba How. They had one son who survived to adulthood. Throughout his exile, John kept in contact with his sister-in-law Elizabeth, who used the nom-de-plume Boyes in their correspondence. Charles I’s second son, James II (1685-1688) ascended to the throne in 1685. The following year he appointed Sir Edmund Andros as the Governor of Massachusetts. Like the King, Andros had very little tolerance for Puritan beliefs and within a year he had reduced Connecticut to his rule. He was also alerted to John’s true identity and from her letters, Elizabeth was deeply distressed be this turn of events. On 18 March 1689, John, now an old man, transferred his estates at Hougham, Sandgate and Romney Marsh, to his wife and son and a month later he died. 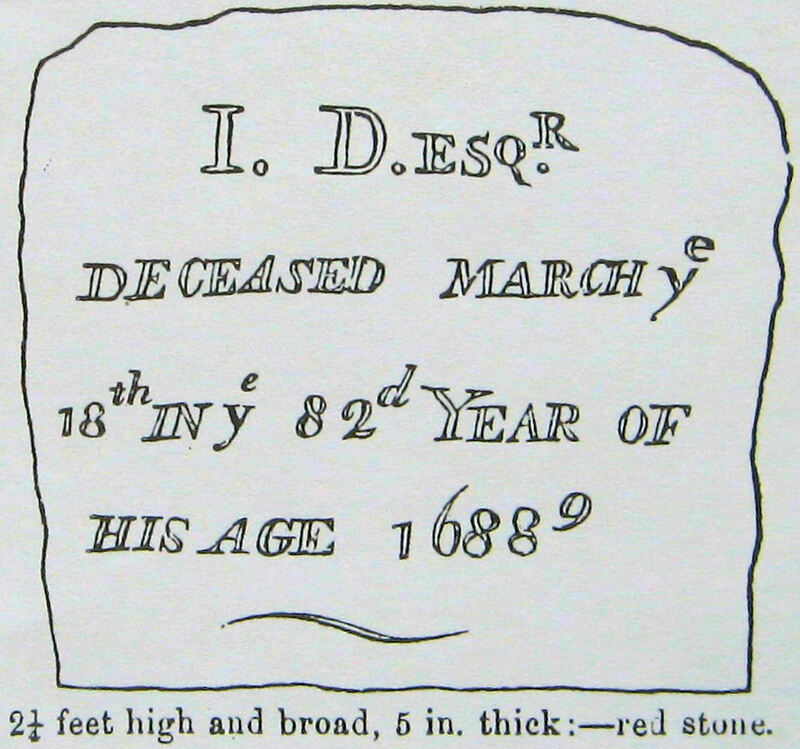 He was buried in New Haven, Connecticut. Back in England, Elizabeth had married Henry Oxenden but it was Henry of Deane near Wingham not his cousin, the Squire of Maydeacon. Her son, John’s nephew, Basil, was created a baronet by Charles II and represented Dover in Parliament. Five weeks after John Dixwell died news reached New England of the abdication of James II and Andros was overthrown. Over the next few years, John’s true identity became public knowledge and his grave became a source of fascination. This increased following the American War of Independence (1776-1783). However, John’s body was not allowed to rest for on 22nd November 1849 it was exhumed – to see if it was there! His remains were then re-buried and a monument was erected which bears his name and in New Haven there is a street named after him. 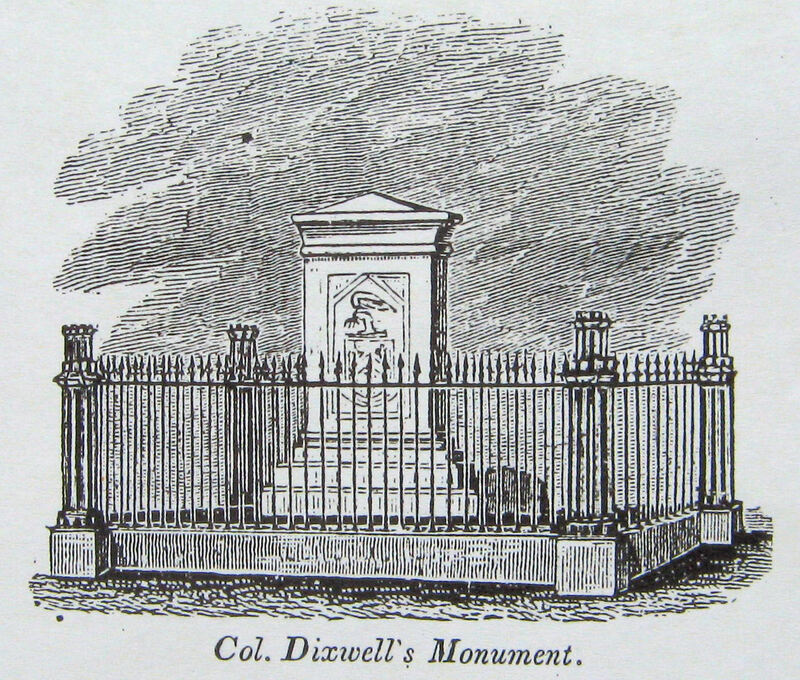 Thus, John Dixwell, Dover MP and English regicide became a national legend in the US. This entry was posted in Civil Wars and Interregnum, Dixwell John - the Dover Member of Parliament who committed Regicide, Dixwell John the Dover Member of Parliament who committed Regicide, Dixwell John the Dover Member of Parliament who committed Regicide, Dixwell John the Dover Member of Parliament who committed Regicide, Members of Parliament, People, Royalty. Bookmark the permalink.